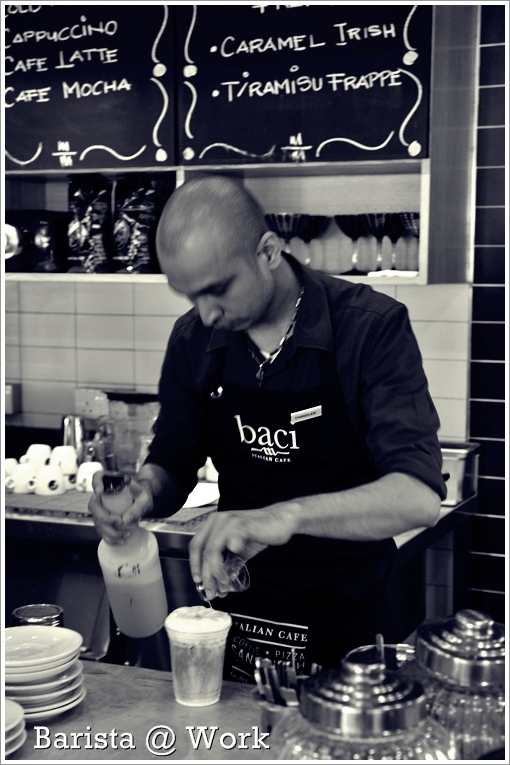 In his mixing elements @ Baci; a new Italian-inspired cafe in Citta Mall, Ara Damansara. Lest you misunderstood that Motormouth has gone back to Ipoh, let me affirm you that I have not, with this post. So happened that over the weekend before last, I went home for a very short stint (2 days in its entirety) and came back with a few good finds to be shared. Not entirely new restaurants or cafes in Ipoh though, sorry to burst your bubble. But aside from the spanking new Hokkaido Japanese Restaurant (the next post, I promise), I revisited the good old food stalls in Ipoh that I have grown up with, and partly responsible for developing this discerning palate. 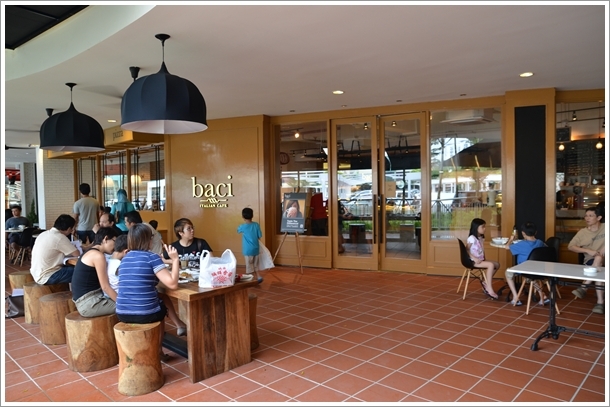 A spacious, well-aerated and lit by natural sunlight al fresco area of Baci; recreating the laid-back European style of cafe ambience. A perfect atmosphere for a casual breakfast-brunch on a lazy Sunday. 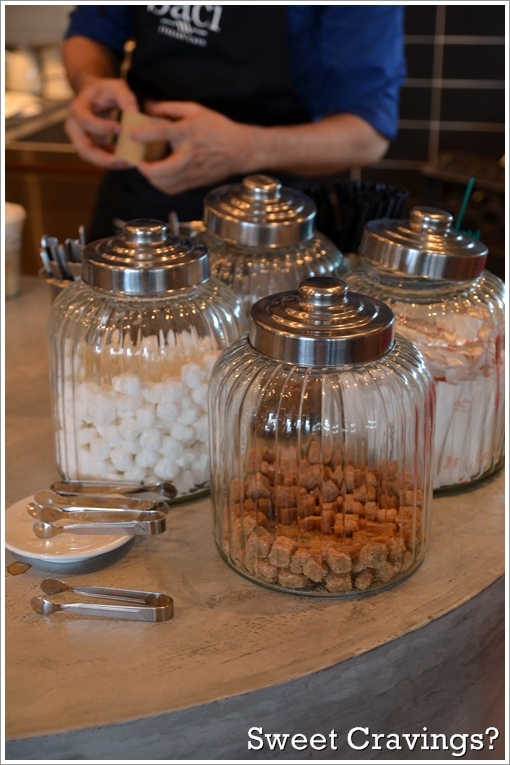 Now, let me shake off this Monday blues (or the last half hour of it) by sharing this new cafe named Baci; located on the ground floor of a relatively new shopping mall in Ara Damansara named Citta Mall. Baci serves a simple array of Italian cuisine; but not the full arsenal of them. Pizzas, Italian wraps, pastas, cakes and of course … Italian coffee (the famous Vergnano coffee) are but some of their all-day fares. Citta Mall is unlike any of the commercialized shopping giants in the heart of the city. Closest resemblance would be The Curve with its signature weekend flea market setup. But Citta Mall in its essence; is your family-orientated neighbourhood mall with a strong emphasis to echo for an ecologically-viable and environmentally-conscious concept. Thank goodness it was a cool and cloudy Sunday, hence everyone was seated happily on the outside of their respective cafes; sipping on a heartwarming cup of coffee and watching the world goes by. Pizzas (4 varieties on that morning) for about RM10.90 a slice. A hefty cut nonetheless, but desperately called for a shot of tabasco or more fresh tomato paste. Chocolate Peanut Butter Cake (RM9.90/USD3.30) – One of their signatures; the other two types available were tiramisu and another chocolate creation. Too cloyingly sweet and oily (peanut butter, I suppose?) to register on our minds. Wait, it DID make an impact on mine. 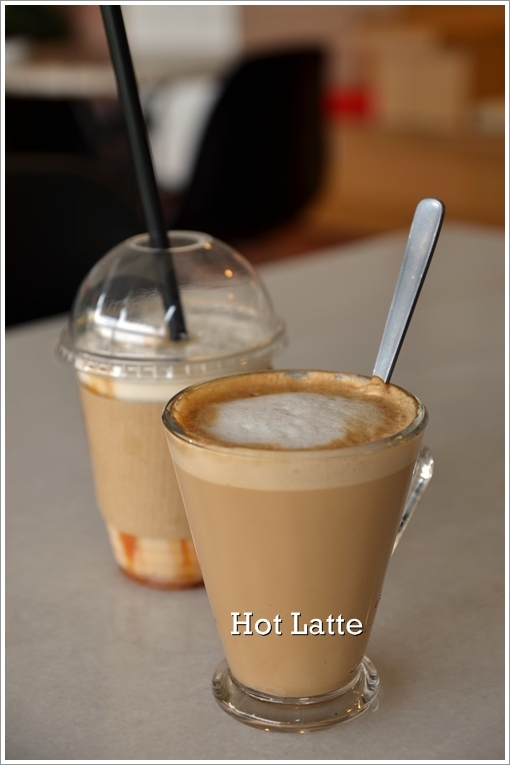 Latte (RM7.90/USD2.60) was good, being light and frothy with a creamy shot of steamed milk. Caramel Irish Frappe (RM8.90/USD3.00) was a disaster though, being too diluted, the caramel sticking to the walls and the irish cream was almost non-existent. Pick a cube of sugar or brown sugar if you fancy something with a refined taste rather than processed fine sugar in packets. Verdict? A somewhat lacklustre brunch experience though. The pizza was passable, the dough being chewy and thick while the gorgonzola cheese did not lend its signature pungent and salty edge to the slice. Thankfully the cubes of lightly roasted (?) 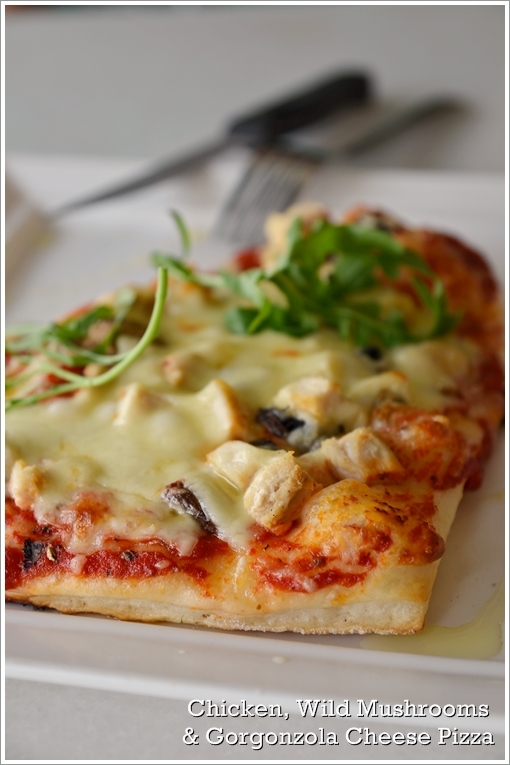 chicken were tender, and paired well with the slices of wild mushrooms that provided an earthy flavour to the pizza. The rocket leaves (arugula) were but mere decorative items though, and the drizzles of olive oil on and around the pizza was uncalled for. The cake came in a crumbly, (not in a good way) too moist; somewhat oily presentation. 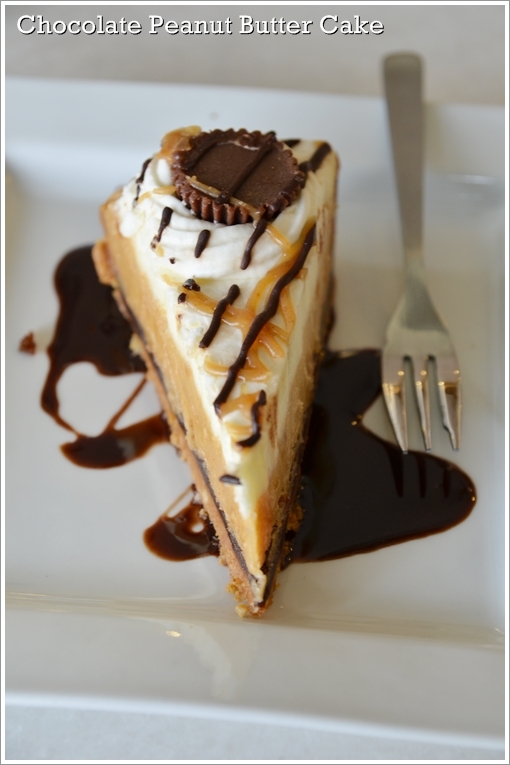 The peanut butter might have been too heavy for this fluffy creation, and the sweetness level was upped a few notches. They do serve a few varieties of pastas, and I eyed a Penne pesto from their board. Prices start from a very reasonable RM7.90 onwards, and additional bacon, seafood and even anchovies (ikan bilis) for a few Ringgit more. The gelato goes for RM6.90 per scoop, and RM10.90 for two. 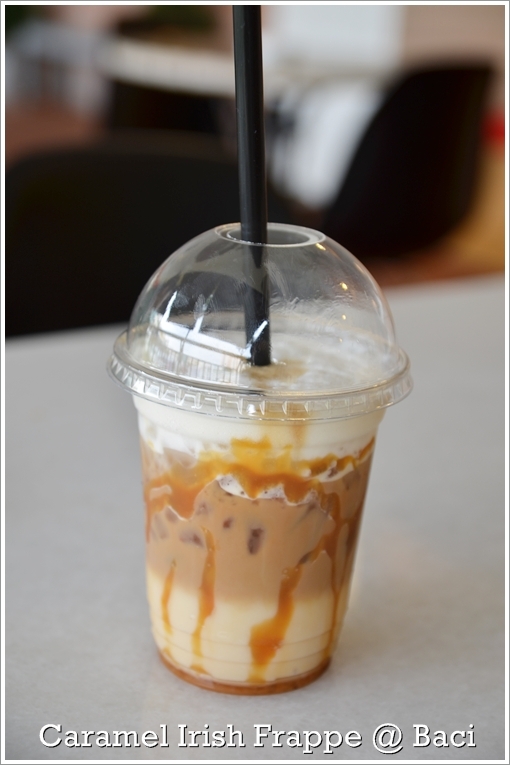 Coffees are priced from RM5.90 for an espresso to RM10.90 for an 16oz Coffee Frappe or Iced, Flavoured Coffee. 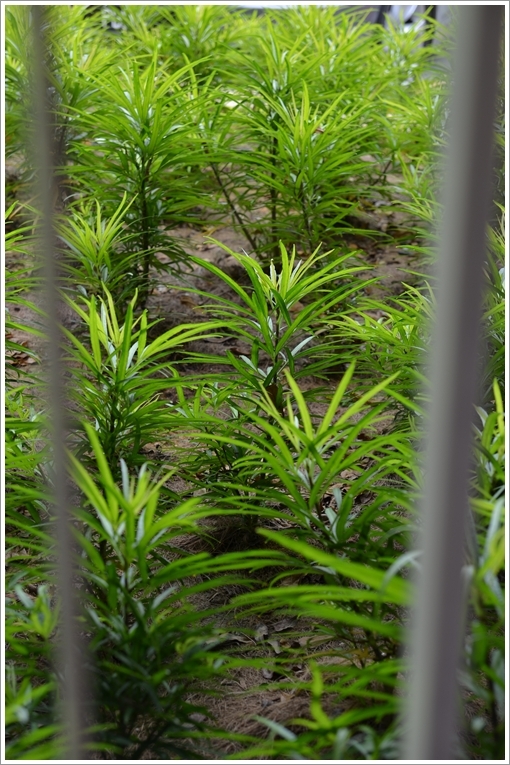 A sight for sore eyes, you’d be able to see soothing shades of green everywhere in and around the mall. Would be good to let them warm up to the crowd around Ara Damansara and Subang before taking on the challenges of serving folks from all over Klang Valley. But they’d better get their act together, as on the same row like Baci, you can also find Wondermilk, San Francisco Coffee and Chawan, while I won’t be surprised if Dome, Starbucks, Coffee Bean and the many other coffee chains come to play in this lucrative playground. Pappa Rich has touched down; being the first to open back in middle of June in fact. Subway is on the 1st floor, while Rakuzen, Meatworks and Chili’s are opening real soon. Unlike the generic shopping malls, Citta Mall does not come full blast with air-conditioning or even the usual, enclosed facade. *Take the Subang airport road from Federal Highway or the Flyover from Subang/USJ. As you are about to reach Saujana on your left, make a U-turn at the traffic lights under the flyover to Subang airport. You will see the signboard for Ara Damansara on your left. You can already see Citta Mall on your left. 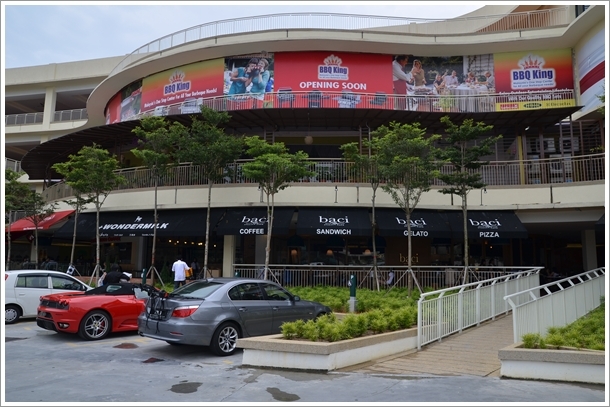 Take the first left turning (Jalan PJU 1A/46) and make an immediate U-turn to reach this mall. 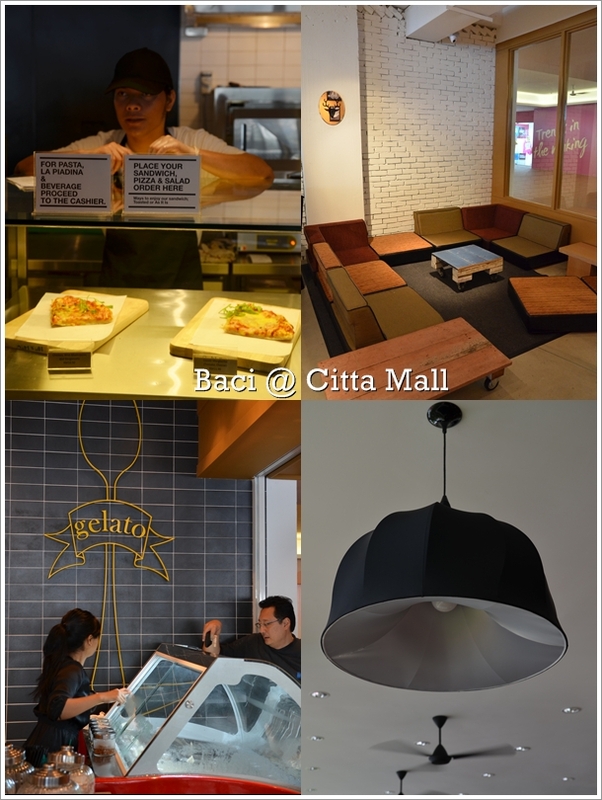 **More about Citta Mall on their website HERE. So sad this is so-so. Was getting excited since it’s quite near my office. Yeah…. Chawan was there, and there’s another Dr Cafe too. Starbucks look-alike, the latter. Chewy pizza dough is never passable is it? How was the gelato? Did not try the gelato, nor went over to see the selection. But not made in-house, if I remember correctly. Chocolate peanut butter cake looks tempting. Was it good? Not really, taste was okay, but after a few spoonfuls, the cloying factor seeped in. Passed by this mall a couple of times before but never been inside. Hopefully some good restaurants open there. I’ve not really explored the food around Damansara area yet. The peanut butter cake looks delicious. That’s good news for you, since it’s nearer to your place. This Baci belongs to the same group as Italiannies. looks like a good place to chill eh . .
We drove past this weekend, but cumi said there was nothing he wanted to eat at Citta Mall! Can’t blame him.. yawn..
Hehe … yeah, typical cafes and such loh. But then again, would be great brunch place for myself, since it’s within walking distance! took my kids to Citta Mall on their opening day and they wanted to eat pasta. they shared penne pesto and spaghetti bolognaise at Baci and they loved both. the waiter gave them one scoop of the gelato on the house. it was yummy! very smooth and creamy. That sounds great. Maybe should have gone for the pasta and gelato instead. The cake was not good. sadly, they are dishonest and liars as well. had a very bad experience there last week. they almost got away stealing my iPad. Seriously? Did you leave it on the table or was it stolen on purpose from you? Did they actually take it from your hand ?? Or was it because u ACCIDENTLY left it there ?? That’s how pizza is eaten you know. Drizzled with olive oil. Yes Floozy. Drizzled IS the magic word here. Not POURED. a friend said it is nice, so we tried. there were so little toppings on the pizza, and both the different type of pizzas we ordered were nearly tasteless. was craving for a dessert after dinner, they recommended 2 types of cake, i had the red one, not the peanut butter. very crumby, the texture feels like the left-over cake we bake in our own kitchen 3 days ago. with $9.90/slice, i definitely can get something far nicer from any cake shops in my area. a very disappointing dining experience. hi, Is it halal btw? Pork-free, but I can’t recall any halal certification then. You may want to check with them on this. recognize what you are speaking approximately! hey do you happen to know their operating hours?